The 20th century has been marked by the creation of the television and the Internet. Today most of our life is organized, monitored and entertained through our connected screen devices. Meaning humans putting the machine at the center of their lives. The 2017 trend is to reverse the situation and create more human-centric technologies. Microsoft HoloLens is the first self-contained, holographic computer, enabling you to engage with personalized digital content and interact with holograms in one’s environment. Holograms are “objects” made of light and sound, intangible but capable of responding to gaze, gestures and voice commands. It can be crafted to interact with real-world surfaces. Feels like we are closing up to sci-fi Minority Report level of selecting and swiping, or IronMan holographic design table. 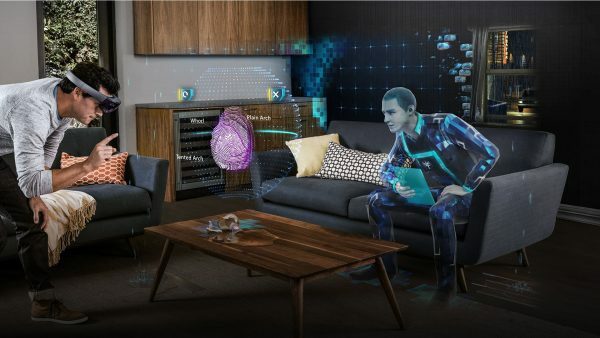 HoloLens is a Windows 10 PC that sits on your head. It’s a pretty hefty headset, but it’s wireless, which means you can move freely around the room while you play with apps. It has lightly tinted holographic lenses, four different cameras, and a special holographic processing unit in addition to its CPU and GPU. If virtual reality (VR) envelops you in an imaginary digital world, the augmented reality (AR) or HoloLens’ mixed reality allow the bearer to see digital projection in addition to the real world – apps literally floating or fixed around the space. 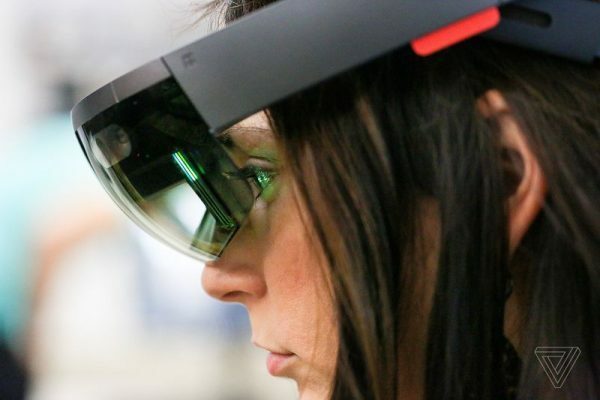 So far, the Hololens are still in the hands of developers and designer. The biggest criticism acknowledged by Alex Kipman in its TED “A futuristic vision of the age of holograms” (Feb. 2016) is that the field of view is small. For such a big lens, the floating items feel tiny. In some cases, apps even appear to get cut off. Check out more about the HoloLens on Microsoft official portal and Developer Academy.